“Getting organized” is one of the most popular New Year’s Resolutions to make. If this is something you’re thinking about at the dawn of 2018, I applaud you! An organized home streamlines routines, cuts down on stress, and makes everyday life more pleasant. I want you to experience the small miracles of a well organized space for yourself! Yes, you can absolutely organize your own home. But like most of us, you’re probably busy and feeling stretched thin already. A professional organizer can help you accomplish more than you ever thought possible in a much shorter amount of time. I never go anywhere without my measuring tape and label maker! 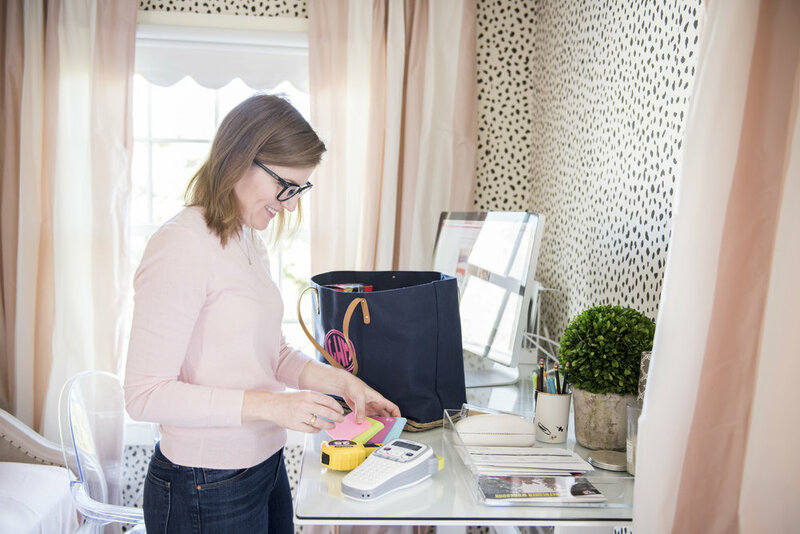 Professional organizers arrive ready to work, meaning that you don’t have to add yet another errand to your schedule before you start organizing. Each organizer carries a different toolkit based on his or her working style, previous experience, and organizing philosophy, but rest assured that you won’t be asked to hunt all over your house for a pair of scissors or a Sharpie! Getting organized often brings up other tasks to accomplish, from buying new furniture to disposing of hazardous waste. Professional organizers are part of a network of service providers and have great recommendations for how to get these often mysterious tasks taken care of quickly and efficiently. Decluttering means making tough decisions, which can induce self doubt. A professional organizer will empower you to make the decisions you want to make, and help you feel confident every step of the way. Organizing inevitably generates to-do items, from paper that needs to be filed to donations that need to be transported to your charity of choice. Professional organizers can take care of many of these tasks for you, meaning that once they leave, you’re really done with your entire organizing project. Now that you’re convinced to hire a pro, start with the National Association of Productivity and Organizing Professionals and their Find an Organizer database. And if you’re in or near San Francisco, you can book a complimentary half hour phone consultation with me right now and get started on your organizing project today!